Courts take domestic violence very seriously, and any allegation can seriously affect the rights of the accused. If you are seeking protection against domestic violence or abuse, you can obtain a restraining order or order of protection for you and your children. At Blumberg & Associates, we represent parties seeking protection and individuals needing defense in domestic violence cases. We can protect your security and your rights in domestic violence or domestic abuse cases. Contact us for an immediate consultation. Taking immediate action can preserve your security and affect the outcome of your case. Spousal abuse includes emotional abuse, verbal abuse and threats, and may lead to marriage dissolution or legal separation. If you are a victim, you can protect your rights through the legal process with an order of protection or a restraining order. If you are the alleged abuser, a conviction could affect your rights to custody and property. Our attorneys are experienced in protecting the rights of victims and alleged abusers. If the judge deems abuse a valid claim, the order is issued even if the other side is not present. The order goes into effect once it is served on the other party. The order is in effect for one year after it is served. You have the right to contest a restraining order anytime within that year after it is served on you. You have the right to a hearing within 10 days of request to contest the order. If the other side doesn't show up, it gets thrown out. Contact us to protect your rights involving orders for protection. If your child has suffered emotional abuse, physical abuse or sexual abuse, we can help you obtain a restraining order or take necessary action to limit the rights of the abuser in your case. If you are seeking a divorce in a child abuse case, we can also address concurrent issues involving custody, and parenting time. 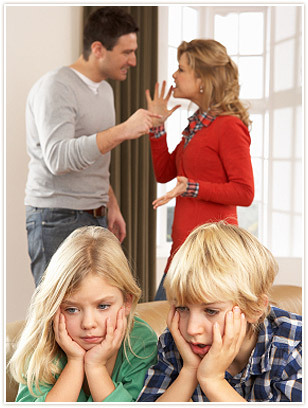 Our family law attorneys understand that you and your family are facing a very difficult time. We understand that leaving an abuser is very emotional and that you are seeking protection out of necessity. We provide our clients with the sound counsel and support they need and the aggressive advocacy that gets results in court. Contact Blumberg & Associates, for a consultation with an experienced Phoenix, Arizona, family law and parenting time lawyer - evening and weekend hours by appointment.